Marriage annulment and divorce are two very separate legal procedures that essentially achieve the same end goal of ceasing a marriage. The legal procedures for both are identical save that for nullity proceedings, the Plaintiff will have to attend a one-time open court hearing to confirm the nullity statement in the presence of a judge. Under an annulment, however, the marriage is found to be invalid in some way and thus legally considered non-existent from the start. Also unlike a divorce, an annulment can be granted at any time (as opposed to having a statutory bar of waiting at least three years like that of a divorce proceedings). Marriage proceeding against one or both spouse’s will (whether by force via threat, intoxication, or etc). While these are the most common cases, others may be approved on an individual basis. It is important to note that a marriage can be forcefully annulled by a court with legal penalties for the party at fault if one spouse is found to be guilty of bigamy. The laws for Muslim marriages allowing Muslim men to have four or fewer wives, does not apply to Women’s Charter of Singapore, though the validity of the marriage still requires consent and disclosure of marital status. On the contrary, one can apply for a divorce based on almost any reasons although there is only one ground for divorce i.e. irretrievable breakdown of a marriage. The most significant difference between divorce and nullity is that a successful nullity proceedings effectively means that both spouses return to their former status (for example, single or widowed), though the existence of the marriage is legally recognized up until that point. Annulments are generally involves further costs for court attendance, though costs may still run in the thousands range if the spouse wishes to contest the nullity proceedings. Read more to understand the Grounds for Divorce. 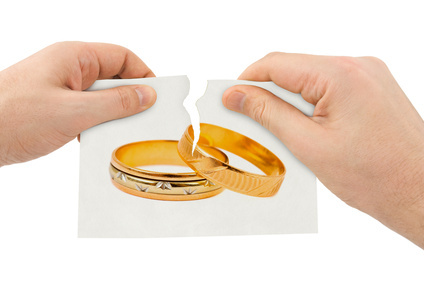 Consult a lawyer to know more about annulment vs divorce. Find out the difference between a contested divorce and an uncontested divorce.